Many of us exist on as few calories as possible. We live with the thought that this is the only way to be safe, and we fear that if we allow ourselves to eat what we really want, all hell will break loose. We’re walking a tightrope. Eating according to what someone else told us, without regard to our own hunger, fullness, or desires. We get by on few safe foods, tolerate the cravings for richer foods and sweets, and just keep telling ourselves we’re on the right track. Until we can’t stand it anymore. After a while we can’t stop thinking about those desired but restricted foods. Whether ice cream, bread, pasta, French fries, or a good old fashioned burger, somehow the very foods we vow to live without become a fixation. This feeling of deprivation grows to the point where we can think of little else. And that’s when we lose control. Maybe we plan a binge, stopping by the supermarket or convenience store on our way home from work, to pick up all those foods we’ve missed. We lock the door behind us and set about indulging for every day we haven’t eaten what we really wanted. Or maybe a binge sneaks up on us and catches us by surprise when we’re grabbing a pizza with friends, at an all-you-can-eat buffet, or at someone’s house for the Superbowl party. The emotional toll of this extreme eating is huge. While we’re restricting we feel deprived, anxious, and paranoid. After binging we feel guilt, remorse, and confusion, not to mention physical discomfort. Often we think that the binge represents failure on our part, that we were weak and just needed more willpower. We might not realize that what we were thinking of as success in this scenario – the act of restricting – is actually the primary cause of our binging behavior. Restricting what we eat affects us both biologically and psychologically. Biologically, if we aren’t getting the energy and nutrients we need, our bodies will develop a primal drive to correct that deficiency. We might feel an unrelenting craving for sugar or refined carbohydrates, which are the quickest form of energy our body can access. Psychologically we feel a build-up of deprivation from not allowing ourselves to eat what we really want. Deprivation brings out the rebel in all of us and drives us to act in ways that seem to be counter to our intentions. These aren’t evidence of failed willpower. They’re proof that your body is working normally (and that it doesn’t appreciate when we try to overpower it with dieting and restriction). The solution to the binge-restrict or extreme eating cycle is not learning how to restrict better. It’s learning how to eat enough for your body, and allowing yourself to eat what you’re truly hungry for. This can be one of the scariest parts of starting to eat in an attuned, intuitive, or mindful way. 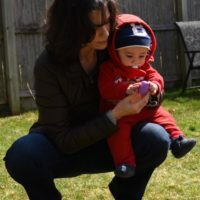 But it’s the only way I’ve found – and that is supported by scientific evidence – to eat with a sense of confidence, peace, and freedom (and enjoyment!). I’ve seen it work so many times when clients come to me feeling confused about why they feel so out of control with eating. First we address biological hunger: noticing the gradients of hunger and fullness, avoiding the extremes of starving and stuffed, and paying attention to the body. Then we move onto psychological hunger: what are restricted foods and what are our beliefs about them that prevent us from enjoying them? To see the relief on a client’s face when she starts to feel the effects of eating according to her body’s needs, and to hear the stories about enjoying formerly restricted foods with great satisfaction (and moderation) says more than I could ever express in a blog post. 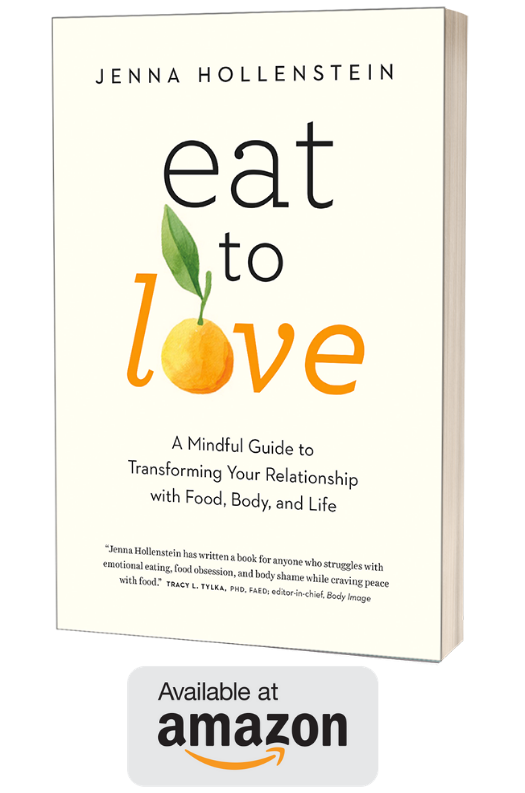 Just a few more days left to register for the Dharma of Diet e-course with Susan Piver. We’re starting next Monday, March 9th at 7:30 pm EST and will continue for four Mondays. If you’d like an introduction to an attuned way of eating and are interested in learning how meditation can help create the foundation for a healthy relationship with food and your body, I hope you’ll join us! Sign up here!